Wales staged a remarkable second-half comeback to stun France 24-19 on a memorable opening Six Nations night in Paris. Warren Gatland's team trailed 16-0 at the interval, but they responded magnificently to claim a 10th successive win and equal their longest unbeaten run since 1999. Les Bleus dominated the opening 40 minutes, cruising clear through touchdowns by number eight Louis Picamoles and Huget, while Lopez booted a penalty and drop-goal. But Wales underlined strong Six Nations title credentials with a second-half display so far removed from what preceded it, it was hard to comprehend. Wales came under incessant pressure in the early moments as France made light of slippery handling conditions caused by rain that started two hours before kick-off and had not relented. Backs and forwards combined impressively to leave Wales stuck inside their own 22, and Les Bleus built patiently before working enough space out wide to send Picamoles over for a sixth-minute try. But there were initial goal-kicking concerns for France as Morgan Parra missed an easy conversion attempt and then drifted a long-range penalty wide after Wales launched an opening attack through a strong Jonathan Davies run. The visitors should have drawn level approaching the half's midway point after centre Hadleigh Parkes freed full-back Liam Williams. Williams dived over the French line and referee Wayne Barnes awarded the try, but as Anscombe was lining up the conversion, television replays were consulted by the official and it was correctly disallowed as Williams knocked on and failed to ground the ball. 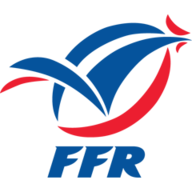 And France made Wales pay, scoring their second try just five minutes later after Damian Penaud made initial headway and flanker Arthur Iturria delivered a brilliant one-handed pass to Penaud's fellow wing Huget, who finished in style. Parra again failed to add the extras, and Anscombe was no better when it came to accuracy, missing two penalty chances as Wales remained on the back foot. France went close to claiming a third try as the interval approached, yet Wales infringed and Lopez found the target after taking over kicking duties from his half-back partner, making it 13-0. Anscombe's miserable half was then completed when he failed to find touch with a defensive clearance, France attacked and Lopez dropped a goal to put Les Bleus 16 points clear and in complete control. Gatland opted against making any changes at half-time, but Wales needed inspiration from somewhere, and they produced nothing during a one-sided opening 40 minutes to suggest it was going to happen. Right on cue, though, Wales conjured a score from nothing when wing Josh Adams surged clear in midfield and sent Williams over for a try on his Six Nations debut, with Anscombe's conversion cutting the deficit to nine points. And it got even better for Wales five minutes later when Huget failed to grasp Parkes' rolling kick and North pounced for a try that Anscombe converted. 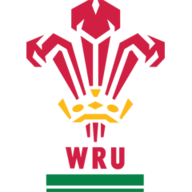 Anscombe and Williams then departed the action, being replaced by Biggar and Gareth Davies, and Wales were denied a third try after number eight Ross Moriarty surged clear, but Barnes had already whistled for midfield crossing. Biggar put Wales in front for the first time with 18 minutes left, kicking a long-range penalty which set up a frenzied finale as the visitors looked to pull off an improbable win. But when Wales infringed at a 70th-minute scrum, Lopez kicked a simple penalty and the visitors were once again behind, before North sealed the deal in spectacular fashion.